Out of the box Microsoft Windows 10 looks good. The interface is easy to navigate, the menus and animations and clear and responsive, and the colors are pretty nice to look at, as well. But, that doesn’t mean you can’t give it a little personal flair. 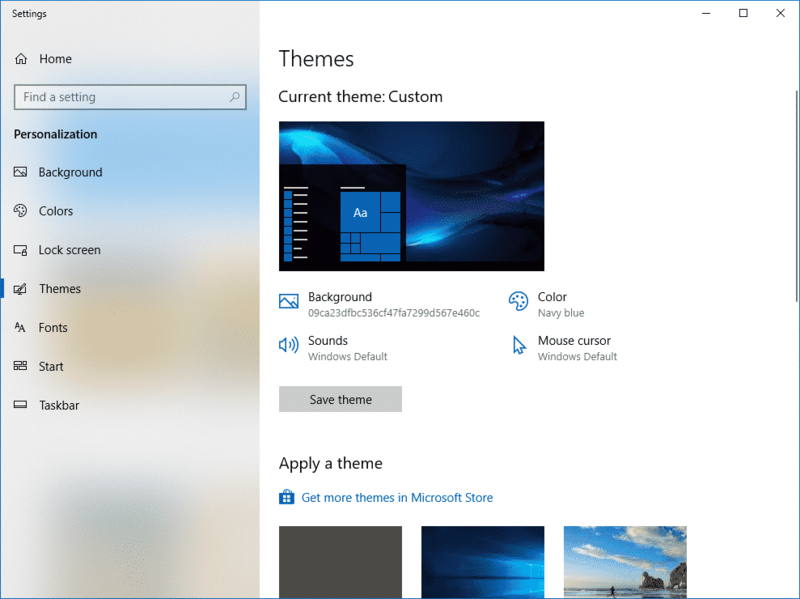 Today we will take a look at how you customize the look of Windows 10 to create a look for your Windows interface that you will love and one that’s all your own. Don’t worry, the process is easy and can easily be done from one main settings screen in Windows 10. There are two main ways you open the Personalization settings on Windows 10. Let’s look quickly at both ways. 2. Right-click on your desktop and then left-click on Personalize. Now that you have the Personalization window open, let’s go through each section, one by one, so you can see what each one can do for you on your quest toward a truly unique look in Windows. The background section is the first one you will see, and probably the most obvious. This section allows you to customize the wallpaper of your desktop. Windows 10 comes with several pre-loaded, but you can pretty much use any picture you wish. If I were you, I would make sure that the picture you choose is the same resolution or greater than your monitor for best results. You could try finding a cool wallpaper for your machine here or here, but any picture you love should work. Now, what you may not know is that you don’t have to use just one picture or you can opt to not use a picture at all. In the Background drop down, you can select a solid color to use as your wallpaper instead, or you can create a slideshow of a variety of pictures. This is a great way to add a little variety to your desktop, but it will come at the expense of computer resources. So I wouldn’t recommend it if you have a low end machine or you need as much processing and RAM power as possible for your work. 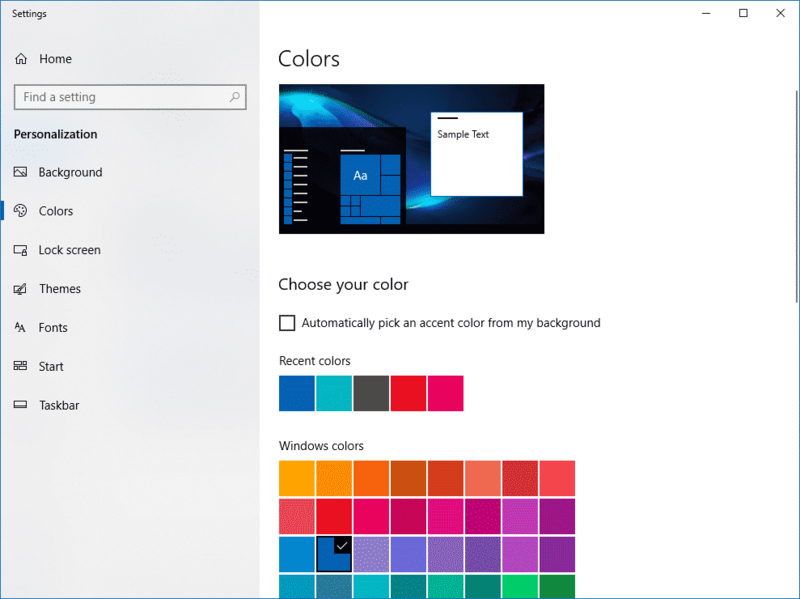 Windows 10 allows you to customize the interface using pretty much whatever color you want. Microsoft has created a set of colors that they call Windows colors. These are ready for you to click on to use. By using these, your highlight colors, menu bars and much more will be altered to give you a unique look. But it doesn’t stop there, you can actually use pretty much any color of the rainbow that you want simply by selecting Custom color from the window. This section also has another interesting feature. If you aren’t very good at coordinating color, then I would suggest you select Automatically pick an accent color from my background. This will choose a color based on the colors found in your wallpaper and it will automatically change to match whatever wallpaper or background you select. That way you never have to worry about color clashing. 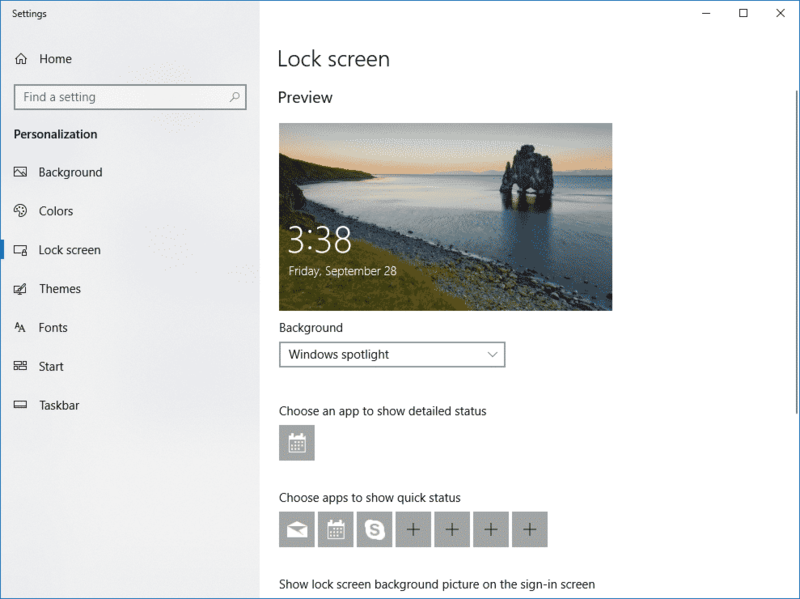 The lock screen was new in Windows 8, and is still confusing to many people now using Windows 10. Because Windows can be used on phones, tablets, laptops and desktops, Microsoft created this screen to be much like the Android or iOS lock screens you see on these mobile devices. So that’s why you now see it on your desktop or laptop today. It can be a pretty handy little tool, giving you a little more security and functionality at the same time. First, you can customize the wallpaper used on your lock screen. If you stick with the default settings, you will use the Windows spotlight wallpapers, which are beautiful. But, like your Background, you can choose what picture you want to use or even create a slideshow so it’s different every time you see your Lock screen. In addition to the pictures, you can also choose apps that display on the lock screen, giving you access to some of your most used Windows apps without the need to fully log into your system. This is a pretty interesting one. If you don’t want to take the time to customize every little thing with your Windows desktop, you could skip all that by selecting a Theme. 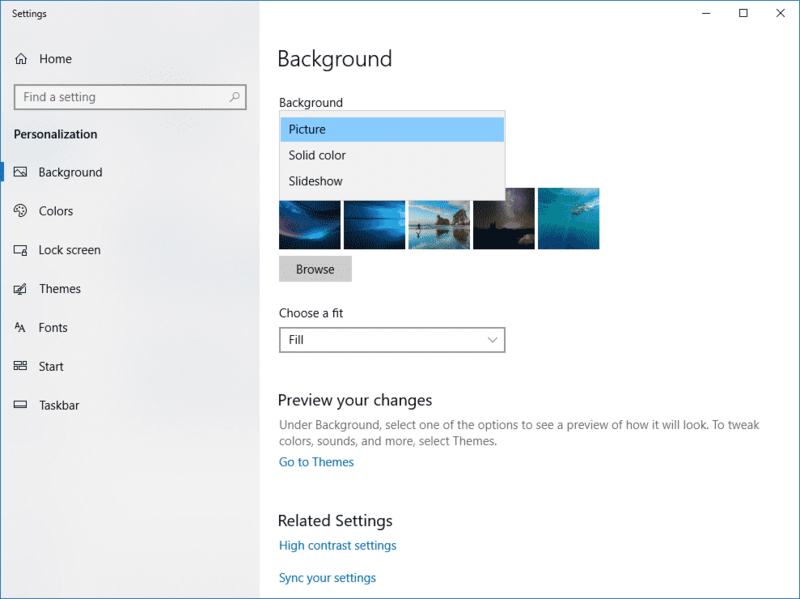 A Windows theme will customize almost everything, including the wallpaper, colors, sounds and much more, giving you a custom look to your Windows 10 desktop. It’s really pretty cool, and an easy way to give your interface a complete facelift in just a few clicks. You are also welcome to make your own themes. In fact, after you finish customizing the interface, you could save it as a theme so you can keep changing things while being able to back to your old theme much more easily. 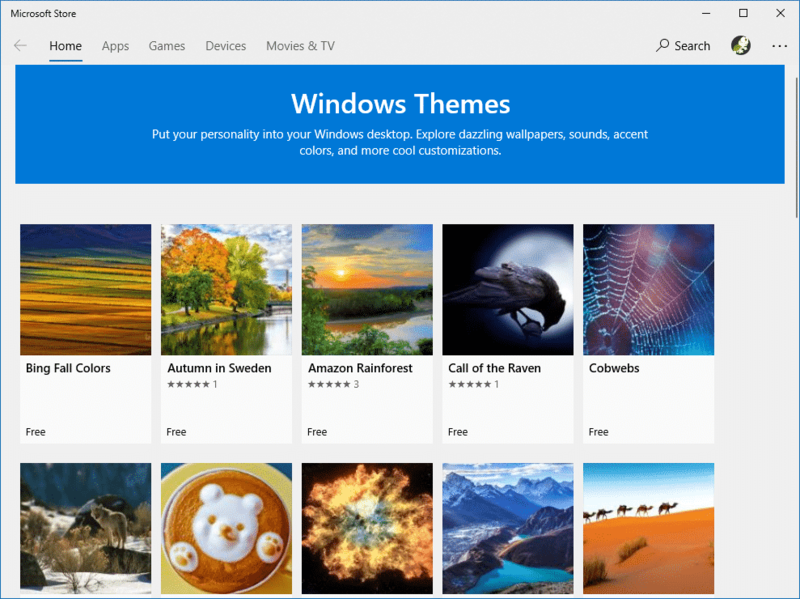 Windows 10 comes with a lot of themes already installed, but if you want more, you can click on the Get more themes in Microsoft Store link in this section to find them. 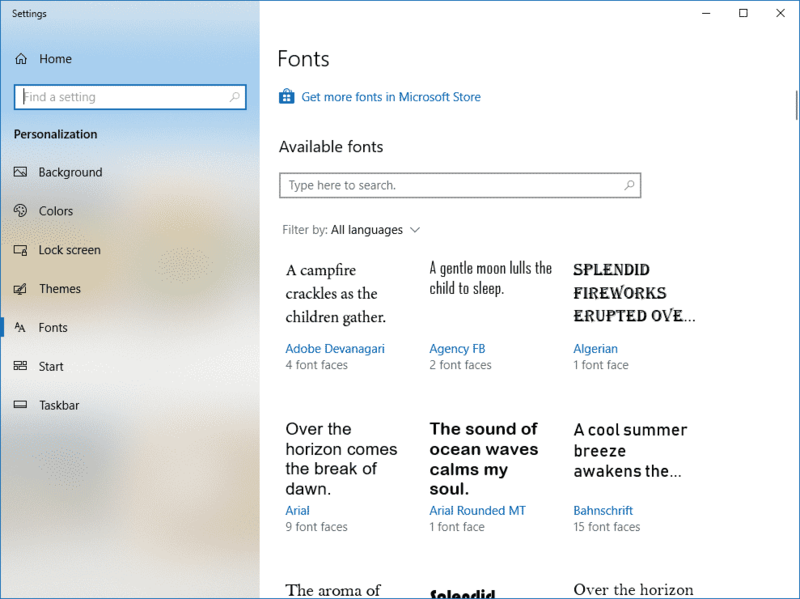 When you click it, it will open the Microsoft Store and take you directly to the Windows Themes section. In here you will find hundreds, if not thousands of different themes. Some of these themes will be available for free, but others will cost you a buck or two to get your hands on. Still, if you are looking to change the look of your system, this is the fastest and easiest way to do it. 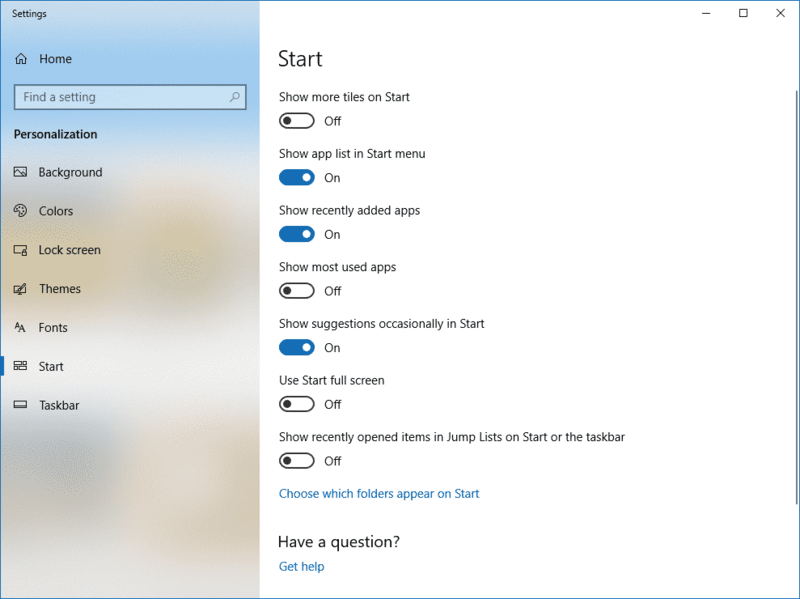 While the colors and look are really determined by other settings, you can also specify what you see in your Start Menu. That’s where the Start section comes into play. From there, you can specify how the tiles will be displayed, what lists you see, and even if you want to see app recommendations. Personally, I would turn off the App Suggestions. After all, Microsoft has more than enough opportunity to advertise to you. Why give them another way to do it? But, I do like both the most used app and recently added app choices. But, it’s your machine, so play with these settings and see which ones you prefer. Ah the taskbar. 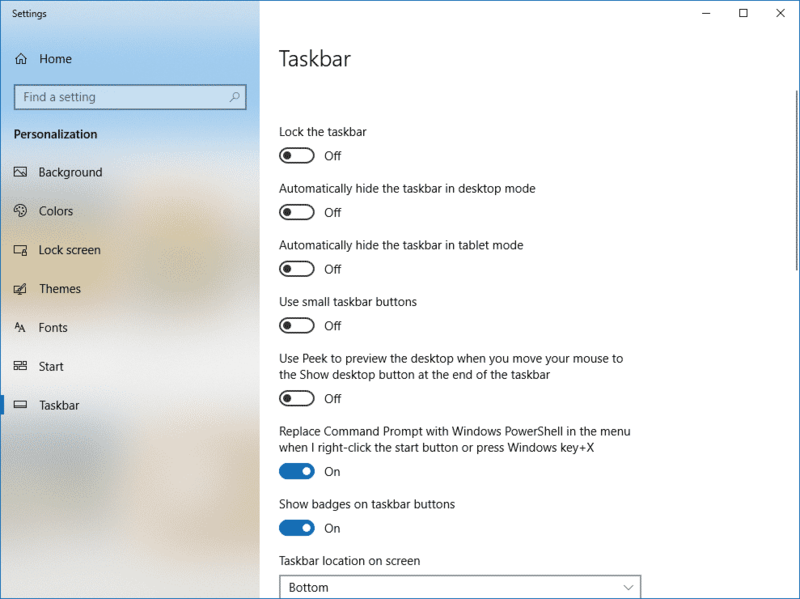 The taskbar has been around since Windows 95, and while Windows 8 pretty much used a bastardized version of the taskbar, the classic taskbar we know and love made its return in Windows 10, and it is here to stay. Trust me, that’s a good thing. From the Taskbar section, you can lock the taskbar, automatically hide and show it, change the size, and more. Another interesting feature is the ability to choose between the classic Command Prompt option or the newer Powershell command line options in Windows. Finally, you can also use this section to specify where you want it. I personally prefer it at the bottom, which is more of the classic way of doing things, but you can put it on any side of your display that you want. I must admit I like the default look of Windows 10. While I did alter the background, I didn’t make to many changes to the interface. But that’s just me. You may not like the way Windows 10 looks out of the box. At the very least, you may want to use a different wallpaper. But that’s just the beginning. You can customize the colors and the look to your heart’s content to create an environment that you will enjoy looking at day in and day out while you work and play on your laptop. 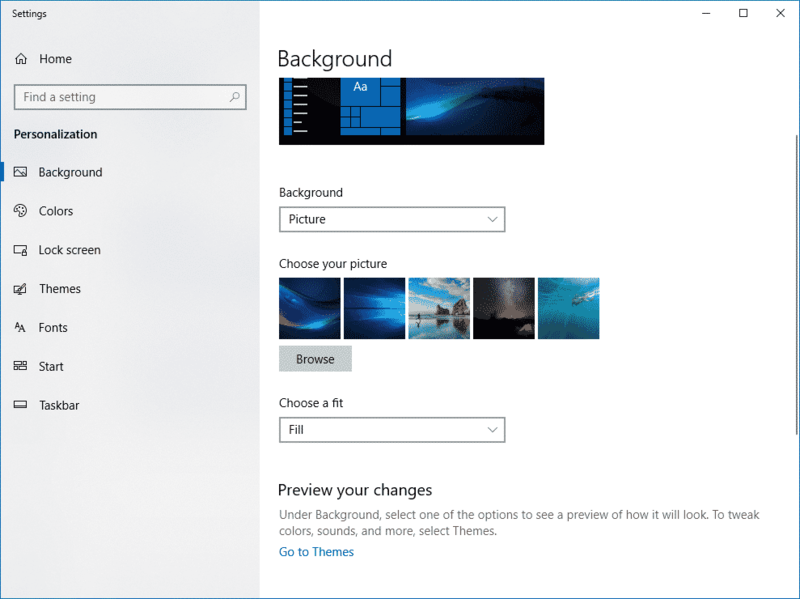 Have you made changes to the look of Windows 10? If so, what did you customize on your machine to make Windows look exactly how you wanted it to look. Tell me what you did in the comments below.